The struggle to find fresh, interesting photo subjects is unending. But don’t make the mistake of thinking that every small town trip is a one-way ticket to photo Dullsville. There are plenty of exciting photography subjects in small towns and rural areas, if you know where to look. Courthouses, parks, festivals, golf courses, farms, lakes and streams, and even animals from local shelters make great subjects for photographers looking for fresh images in a small town. Everybody loves an exotic landscape. Or a bustling metro area, world-class museum, or breathtaking shoreline. Sadly, not every photo enthusiast lives within a 20 minute drive of a National Park or a large city. In fact, what makes so many of our favorite landscape photographs enjoyable is that each time we look at them, we take a moment to recall a place that’s not part of our everyday experience. It’s the chance to briefly re-visit that location—even more than the technical mastery of the image–that makes us hang a beautiful landscape of Maui on the wall next to a window where a matinee of a grey Midwestern January is playing to an audience of one. But all senses tend toward dullness. Farmers aren’t taken aback with the smell of fertilizer the way young urbanites are when driving down a country road. Parents tune out the sound of their crying infant (Especially on long flights. Especially when seated directly behind me). So it is with the beauty in our own back yards. We grow bored and complacent with beauty simply because it’s always there. So, can small towns be dull? Sure, but as George Costanza said, “It’s not you, it’s me.” For those who live in small towns, the dullness is born from familiarity and our own assumption that that the grass is greener—and has better contrast and more vibrant color—on the other side. To someone from London or New York, your small town might even be exotic. Here are some subject ideas to help you see small towns in a new light (and hopefully, lens). 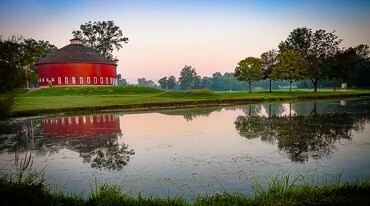 Golf courses have some great built-in features for landscape photography. First, they are uncluttered. Aside from the clubhouse or an occasional out-of-the-way maintenance shed, most golf courses are trying to offer a relaxing visual experience. Second, golf courses present rolling land, which creates curves and leading lines that are ripe for traditional composition, especially in areas that favor flat farmland to mountain ranges. And let’s not forget all the lush fairways and greens. Golf courses were made to be photographed in color. If your fairways are a garishly saturated shade of green, I think you may have a problem with post-processing addiction. Or maybe your local greens keeper is day drinking again. Before you head down the 16th fairway with your tripod, check in with your local pro or an employee at the clubhouse. If you’re just there to take pictures, and not golf, club rules may restrict where you can and can’t be. It’s not just about preventing interference with the players, it’s also about safety of you and your equipment. Also, some courses may let you rent a cart and drive the course without paying a greens fee. Fortunately, golfers and photographers make for good partners in use of a golf course, since the peak golf times don’t usually come during the golden hour. Best of all, a local pro can help because he knows his course like you know your camera, and might even give you suggestions for the best photo spots. This happened to me recently when I was standing next to my tripod at sunset. “You know,” my local pro said, “in the morning, view from the third fairway looking back at the clubhouse is my favorite.” he said. Always trust your local golf pro. Courthouses create interesting subjects because they combine architecture with history. For many small towns in the U.S. the courthouse is the oldest surviving structure. It’s often in the geographic center of the community, and has large setbacks from the adjoining streets, creating natural space that separates it from nearby buildings. But get there while you can. Sadly, many small communities have been moving away from use of traditional historic courthouses, due to growing square footage needs and the expense of upkeep. They’re often replaced by more modern and cost-effective office buildings. Don’t limit yourself to the outside of a courthouse! If security measures permit, go inside. First, make sure to check in with the courthouse bailiff or deputy to know what’s permissible for photographers. Don’t be shocked if there’s no formal policy. If security sees you're more interested in the building than the people or employees, it could make your photo session go more smoothly. Some staircases of old courthouses are awash in natural light, ready to be silhouetted. If you’re fortunate enough to live in a community which has maintained (or restored) the original appearance of its courtrooms, these, too, are great subjects. It’s because they are so inherently evocative of circumstance. It’s impossible to look at a well-composed photo inside an historic courtroom and not get a sense of the human drama that played out through the years. Corn fields, dairy barns, and haystacks stretching out through a rolling pasture. There’s a reason that the agricultural landscape photo is appealing. 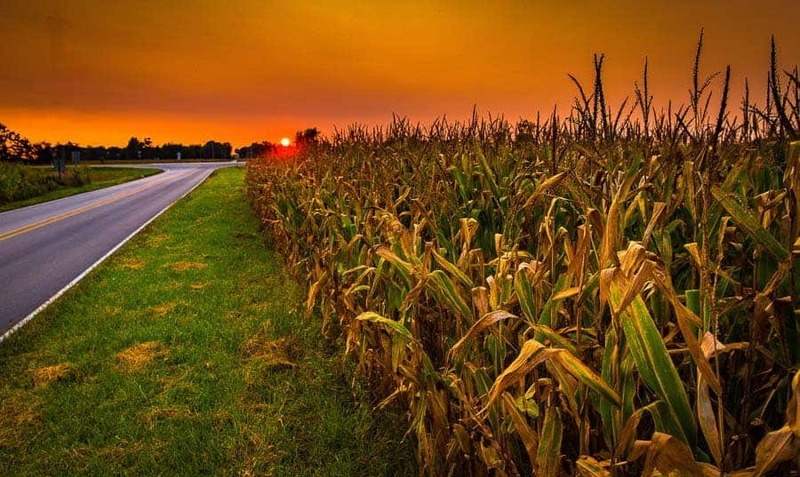 Particularly in the light of the golden hour, agricultural photos honor the vocation and tradition of the farming culture, and its symbiotic relationship with nature. Visually, farm homesteads, grain bins, or farm equipment offer a point of focus uncluttered by additional surrounding structures. Bringing in the sky through a polarizing filter, is a treat way to reinforce the vast open spaces of farm land. Remember, farms are private property. Make sure you either have permission from the owner or you shoot from public property when taking the image, such as the edge of a low-traffic road. If an agricultural structure is distinct and recognizable (“My barn features the only shirtless Conway Twitty mural in all of Eastern Kentucky!”) then consider sharing the limelight. Though I’m told that an architectural copyright can only be asserted in a structure if it (1) was constructed after 1990, and (2) cannot be seen from public property, it’s just the right thing to do. Also, farmers have shotguns. Every town has some type of local festival, fair, carnival, or reason to celebrate. I live within a 30 mile radius of the Amateur Circus Capital of the World, the Egg Basket of the Midwest, and—I’m not making this up–the Round Barn Capital of the World. Local festivals have much in common with street photography in New York or Chicago, where human interaction abounds and a Kaleidoscope of activity is ripe for candid images. Except there’s at least one difference. The squinting, angry look so common to subjects of aggressive street photography, which conveys a certain I’m-about-to-stab-you-in-the-neck quality is replaced with the joy of a middle-aged man eating fried dough roughly the size of a Volkswagen. Vive la difference! Visually, local festivals also bring lights from vendors, carnival rides, and other attractions which make them accessible subjects for night photography. Most of the subjects on this list help photos convey a sense of serenity and peacefulness of a small town. Festivals offer a chance to capture more action. Who doesn’t love the vastness of the Pacific Ocean from a beach in paradise? Or the vertigo-inducing Multnomah Falls and Columbia River Gorge area? These are fantastic photo opportunities that are not to be missed. But there’s also a downside to these popular spots. You can’t swing a dead cat at Multnomah without bumping into half a dozen tripods with excited photographers attached ready to capture epic waterfall images. (In fact, you probably shouldn’t swing a dead cat anywhere. It’s macabre and unsanitary.) But for those of us living in small towns, in between our grand photography adventures, we have the lakes and streams closer to home. So don’t count those out! Water reflections are composition shortcuts. It’s almost impossible not to have repeating patterns when your composition includes a reflection. Scratch that. I think it is totally impossible not to have repeating patterns if your composition includes a reflection. Smaller water formations allow for a more intimate connection to wildlife. 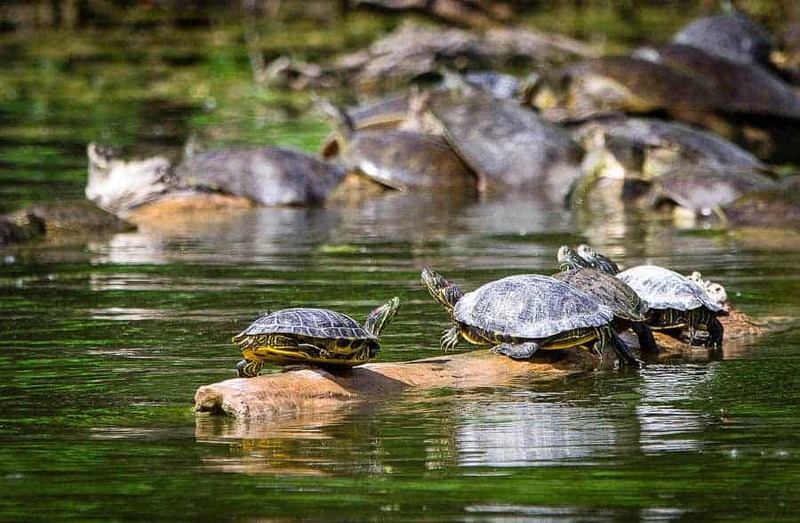 The delicacy in the detail of the turtles in this picture shows the young terrapins peacefully and contently sunbathing. There's tranquility and a certainy playfulness to this photo. But the water only really enhances the image. It's not he subject. What would a three-story waterfall in the background add to this scene? Urgency, even danger. That too, could be a powerful image—but an image conveying a different theme and evoking different emotion in its subject. Like the wise sages of TLC reminded us, sometimes it’s best not to go chasing waterfalls, just stay with the rivers and the lakes that we're used to. I can’t say that Lisa “Left Eye” Lopes was referring to landscape photography, but still, smaller water features are the road—or, stream—less traveled. They are a magnet for wildlife and deserve a second look. Mark Twain is famously credited for the quip, “The more I learn about people, the more I like my dog.” This sentiment is representative of a resurgence in animal shelters in small communities. Dogs don’t judge you for posting pictures of your food on Instagram, or because you spend more on photo gear than on your wardrobe. I’m convinced dogs are the only animal that roll their eyes unsarscastically, in response to a belly rub rather than a Dad joke. They’re walking, barking, panting, yawning stress relievers. Dogs also love visitors, even if you’re not ready to take on a pet full time. Many animal shelters today allow you to visit animals, and even take them out for a few hours or days in a “try before you buy” style program. Dogs love the attention and they’re not going to complain that you’re taking too long to set your aperture and fiddle with the speed light. But be warned: you just might want to adopt the dog when you’re done. You know it, I know it, and the animal shelter knows it. 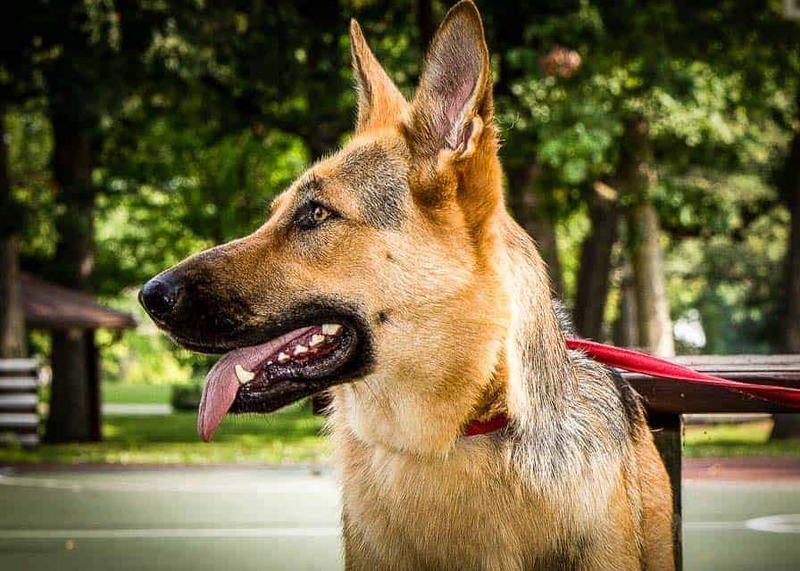 So head down to your local shelter and spend some time with a canine model of your choice! I’m also told some people like cats, but in my research I was unable to confirm this. Just kidding! In fact, cats typically outnumber dogs at shelters, and I’m sure there are some at your local shelter who would be happy to be in your photos. Well, not “happy,” per se. They are cats. But at least mildly satisfied in a condescending way. Cat people know what I mean. Large cities aren’t the only areas where green spaces are protected. Small towns and rural counties have increased their efforts to preserve natural beauty in recent years. These can be easy-to-access photo subjects and also serve as great locations for portraits. A municipal park will never be Zion or Yellowstone. You’ll never capture an image standing between the basketball court and the Little League field at your local park that will make you weep like a baby. Not like that five-foot-wide metal print of “Sunset at Arches National Park” that you saw at a gallery last summer and nearly hocked your wife’s car to hang over the couch in your man cave. But every photographer needs skill-building. Anyone who can transform a great looking landscape into a breathtaking final, polished image started on a smaller scale: making really good images from ordinary outdoor views. It’s not a different skill, just variations of raw material. No, the local park is rarely awe-inspiring. But then, that’s not what the local park is for. A park, like the image it produces, doesn’t have to be grandiose to be sublime. So before you bruise your credit card with a plane ticket to Bora Bora, Madagascar, Middle Earth, or Cleveland, Ohio and spend the most exhausting/rewarding/soul-enlightening time of your life obtaining an image so dumbfounding, so jaw-dropingly awesome that you’re paid the ultimate reward when all your non-photography friends say, “It looks fake,” take a moment and re-consider the small town. Perhaps the one you grew up in. Maybe you’re still there. Or maybe you’ve pushed it back into a small corner of your mind where boring, old-fashioned things are kept. Dullsville, U.S.A. But now look at it again. With your photographer’s eyes, it just might not be as dull as you remember.